"All children are beautiful when they are loved." This is perhaps the most difficult post I've ever written, not because I'm sad or broken, but because I know this isn't what you're expecting. 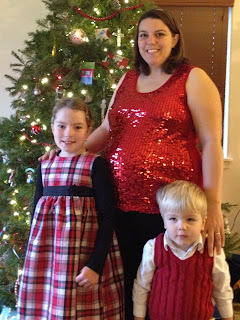 Usually our blog posts are about diapers, or maybe parenting, or a fun giveaway. This isn't that post. In late July, we found out to our utter shock that we were expecting baby #3. Why was I so shocked? First, because I'm the ultimate planner. Nothing happens without me planning every last detail. Second, it took 3 years to conceive our son Colby. 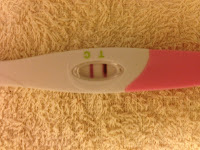 We had medical interventions, lots of tests, months of temping and taking ovulation tests. I honestly never thought that we'd get pregnant without these interventions. But despite all of that, here we were. It took me a long time to get used to being pregnant again. It didn't help that I was sick for 18 weeks. Just as I was feeling better, I had some routine blood tests. A few days later my doctor called. "Your tests show a high risk for Down syndrome. We want to do an ultrasound and some more testing." Normal risk for any pregnancy is 1:700. Normal risk for a 36 year old woman is about 1:300. My risk after this blood test was 1:28. No problem, those tests are never accurate anyway. We scheduled a Level II ultrasound with a specialist and were excited to find out the gender of our little bundle. But not so fast. During the ultrasound they found 2 markers for Down syndrome. Our risk was now a life-altering 1:3. We held it together in the doctor's office. Afterwards we went for a quiet dinner before picking up our kids. Neither of us ate much and I fought tears for most of the dinner. Down syndrome? Really? That night I lay awake long into the wee hours, pleading with God to make our baby be okay. Just make him healthy, I begged. We went back to the specialist for a blood test called Maternit21. It's a new test that can determine with 99% accuracy whether or not a baby has Down syndrome. For most women, this is a perfect alternative to an amniocentesis. After the blood draw, the wait began. We had Thanksgiving, where we bravely went ahead with my plans to do a gender reveal pumpkin pie. 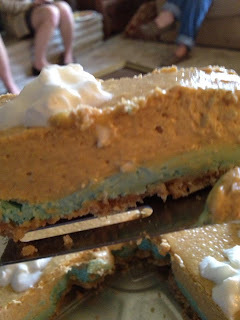 I cried as I made the cheesecake with a hidden blue layer and solemn as I later cut it in front of my husband's entire family. Then we all had the stomach flu. It was miserable but took my mind off the wait. Finally, 2 weeks after the blood draw, the genetics counselor called. "The test is positive for Trisomy 21. Your baby has Down syndrome." I would like to say I took the news stoically. I did not. I cried and cried. My husband was home at the time, but missed hearing the phone call. He came out to where I had been working in the garage and asked a question about something work-related. But one look at me stopped him mid-sentence. He got down on his knees and hugged me tight. We stayed that way for several minutes. Eventually he said something about it being okay, that we'd be okay. That the baby was perfect the way he was. That we'd love him just as we love our other two. The next days are a little blurry in my mind. We met again with the genetics counselor, who politely offered to tell us about our options for termination (90% of mothers carrying a child with Down syndrome choose to terminate) or adoption (over 200 families are currently on a waiting list to adopt babies with Down syndrome). We met with our regular OB and with our new specialist OB. We scheduled an echocardiogram to look at our baby's heart (up to 60% of babies with Down syndrome have heart defects). We stumbled through those first 2 weeks after diagnosis. I read a lot on Ds, I joined the local support group, we secretly Googled pictures of babies with Ds when we thought no one else was looking. And gradually, it was okay. We told our families, we started telling our friends, and the more we talked about Down syndrome, the more okay it was. I'm now 29 weeks pregnant. The echocardiogram and a follow-up ultrasound have both shown that, so far, our baby is perfectly healthy (just as I'd begged for from God). If I go into labor on my own, I'll attempt a vbac. 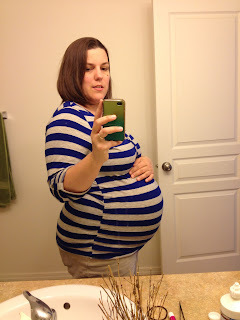 If I don't go into labor, then on April 2 (39w2d) we will have a repeat c-section. 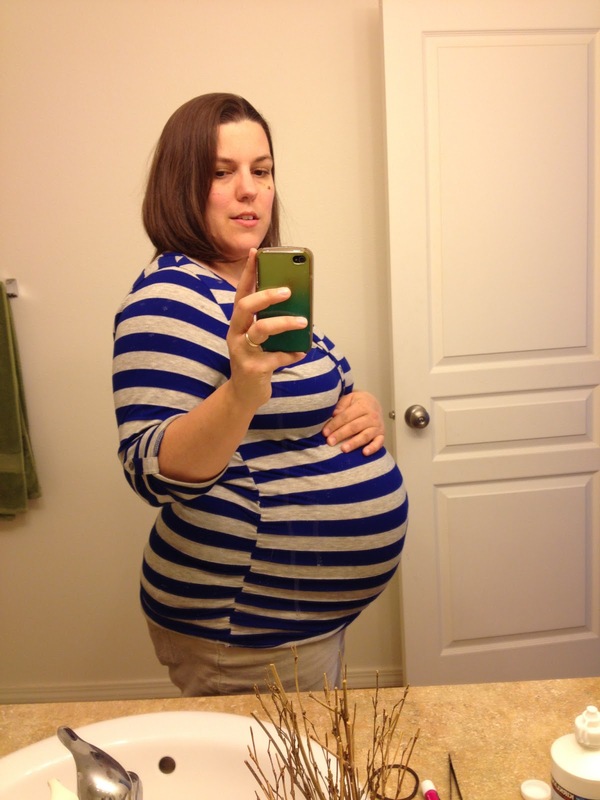 Both of my previous births have been cesarean, due to a variety of issues. And the best part? We're excited--THRILLED--to be having this baby. I can't wait for him to be here. Yes, there will surely be challenges, but there are challenges with every baby. (Our son Colby cried for 4 months straight no matter what we did...oh, that was hard.) And no matter what, this baby, Down syndrome and all, is a blessing.